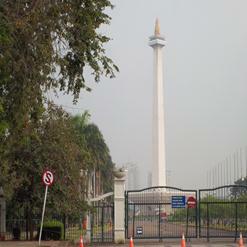 Taman Monas Park surrounds the monument known as Monas. 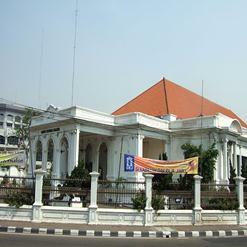 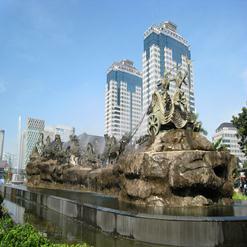 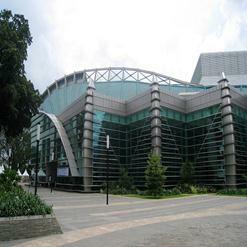 The park consists of various kinds of plants from various regions of Indonesia. 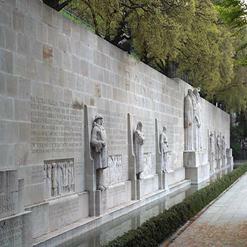 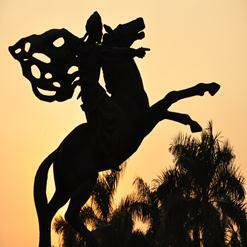 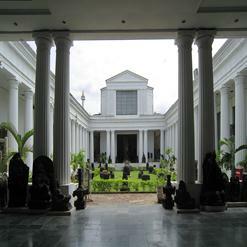 It features several pathways to walk, a pool with fountain, statue of Princess Diponegoro as well as various park benches provided under big trees, for the visitors to relax.